Not sure, what kind of health insurance coverage you required? Let us help. We can calculate premium for you with the complete coverage that best suits your requirements. 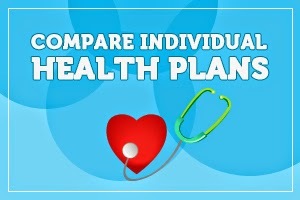 Compare different health insurance plans to find the best-suited insurance cover. You can estimate annual insurance cost and savings or chat live with one of our expert adviser. Individual health insurance works against the risk of incurring medical expenses among individuals. You can save money by comparing different insurance plans, regular reviewing your health insurance coverage, taking benefits from your employer’s medical coverage and living a healthy life style. Compare OnlineInsurance: Compare the different insurance policies with the complete plan details will definitely provide you the best suited health insurance policy as per your need. Opt for two-year policies: Health Insurance Companies like Apollo Munich, HDFC Ergo, and Star Health offer two-year health plans. Chances are you will benefit on more than just the premium front. Use Top up Health Insurance Plans: If you are looking for higher coverage, you can go with the top up health insurance plans. Enhancement in health insurance policy ensures that you get much improved policy at an affordable premium. No Claim Benefits: With a successful year without the insurance claim means, the premium you would pay in the following years would be lower. I am also confused which health insurance would be good for my parents, thanks for sharing this informative blog. I am searching for a health insurance policy for my mom, but I was in two minds from last few days. Now, I am happy after reading your blog, it has good and helpful information. Thanks for your great work...and I hope It will help other peoples also.